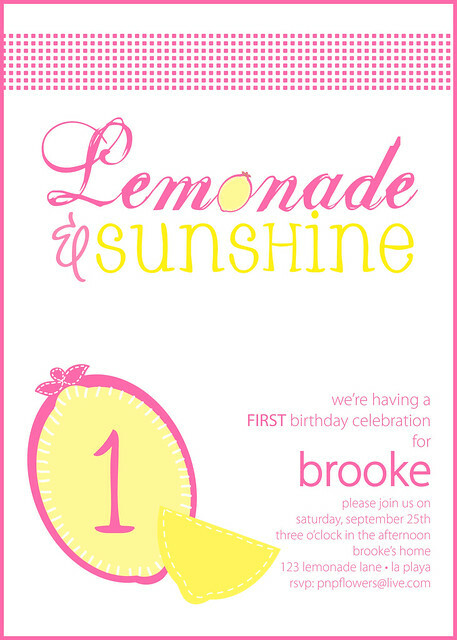 Natalie contacted me about creating a "brighter/bolder" version of the Lemonade & Sunshine party invitation I'd created for my girls. 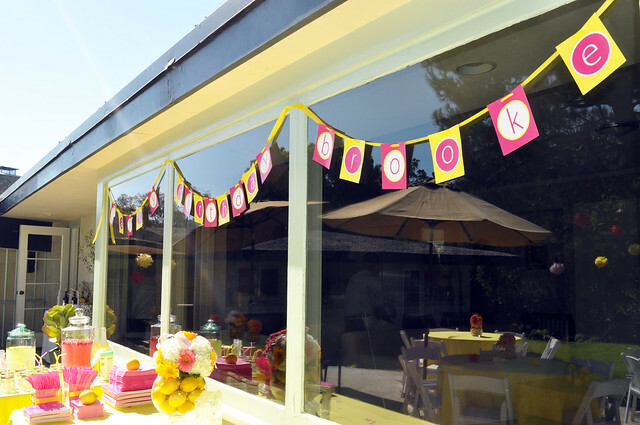 She was planning a Lemonade & Sunshine themed FIRST birthday party for her daughter Brooke. 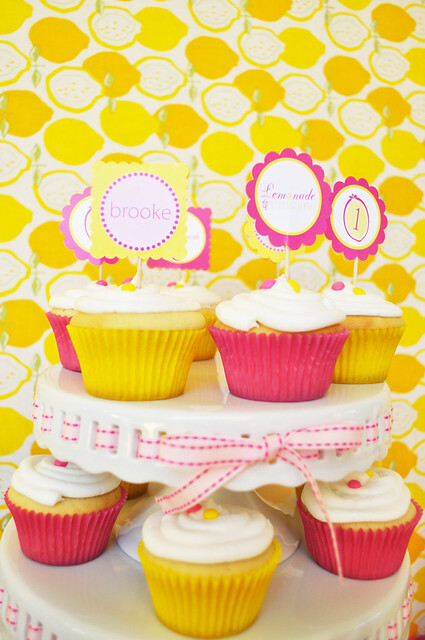 and wanted an invitation with a bold color scheme with a more vibrant, fun, one-year old vibe. it was up to Natalie to pull things together. 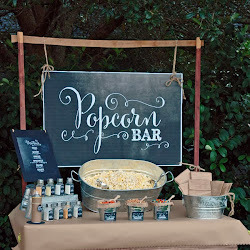 Natalie did a spectacular job of sticking to the theme & color palette throughout every detail of the party. This party makes me happy for so many different reasons. 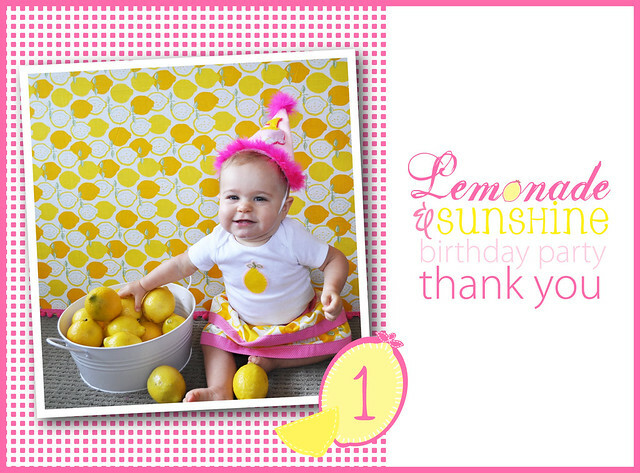 The colors alone invoke a feeling of joy/celebration and just scream "HAPPY FIRST BIRTHDAY!" Natalie - you did a super amazing job! 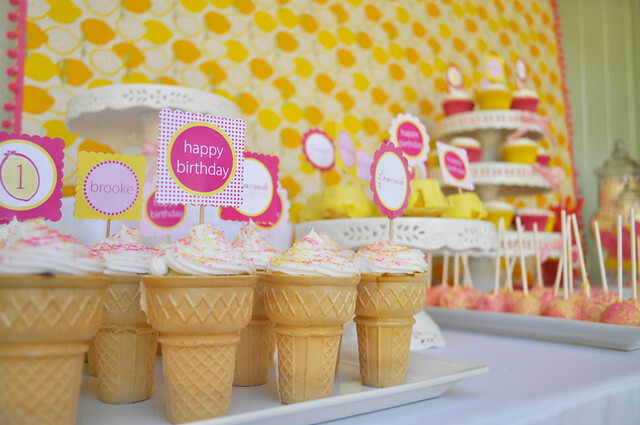 Thank you so much for coming back and sharing pictures of the beautiful party details! 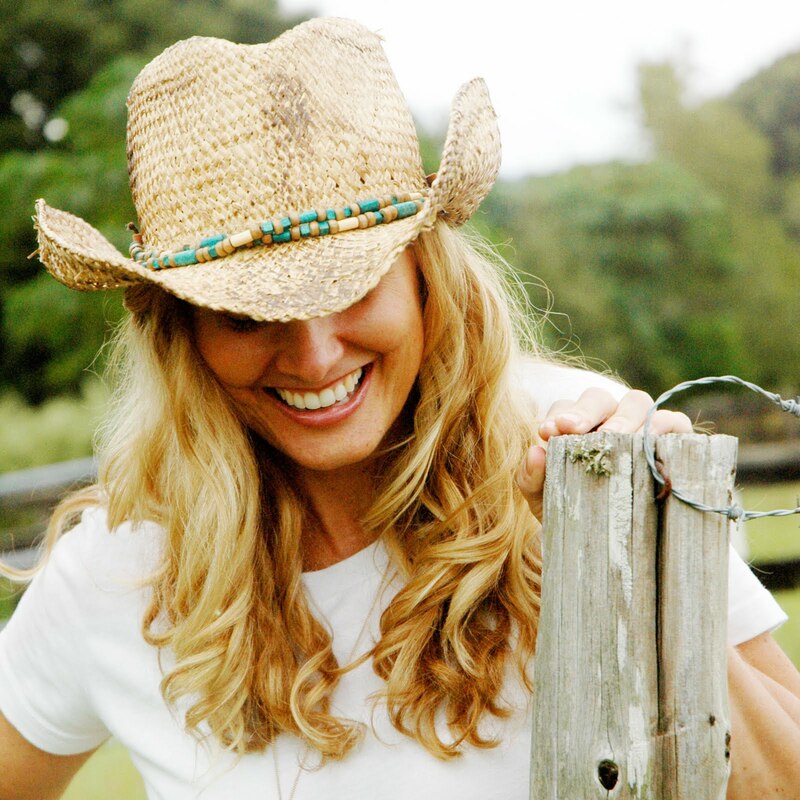 I know everyone will be inspired!! 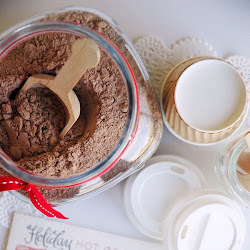 The winner has been announced for the Vintage Confections giveaway!! Go HERE to find out if it was you!! 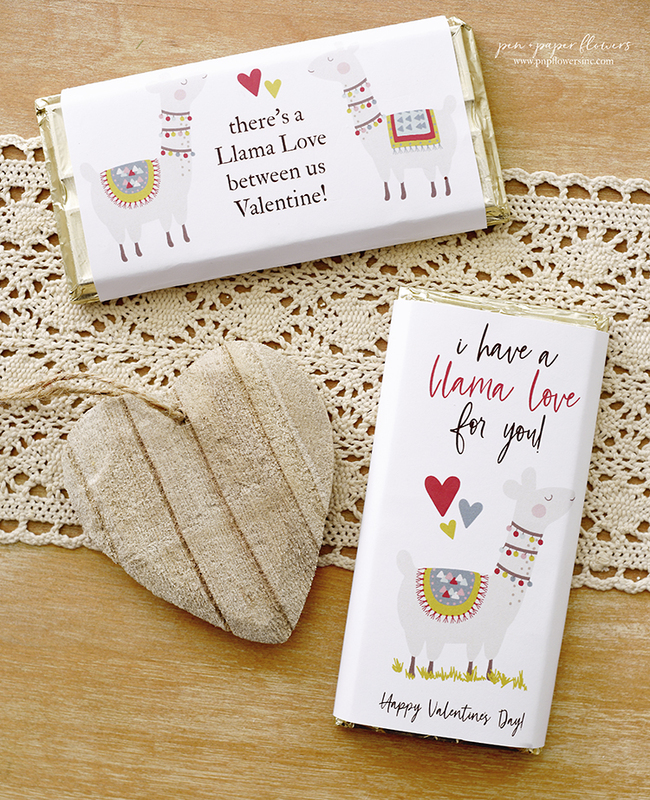 I love love love the invitation!!! 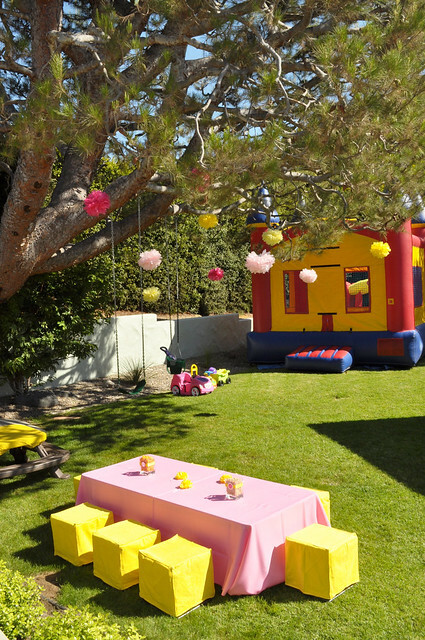 And the party she set up is amazing in every way! 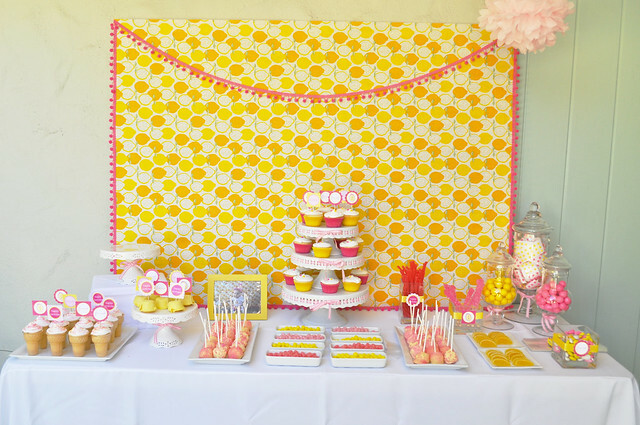 The dessert table is stunning, and I love the way she set the table and chairs. The party is absolutely beautiful! I am sure that a wonderful time was had by all!! 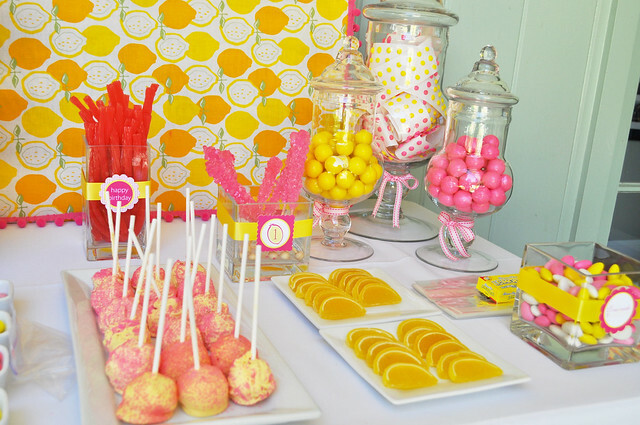 I love the dessert table! 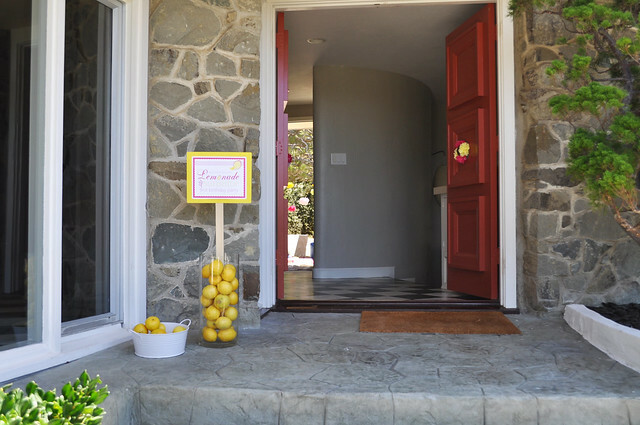 And the invitations were fabulous as well...how flattering that she wanted to do a party for her daughter based off your original idea!